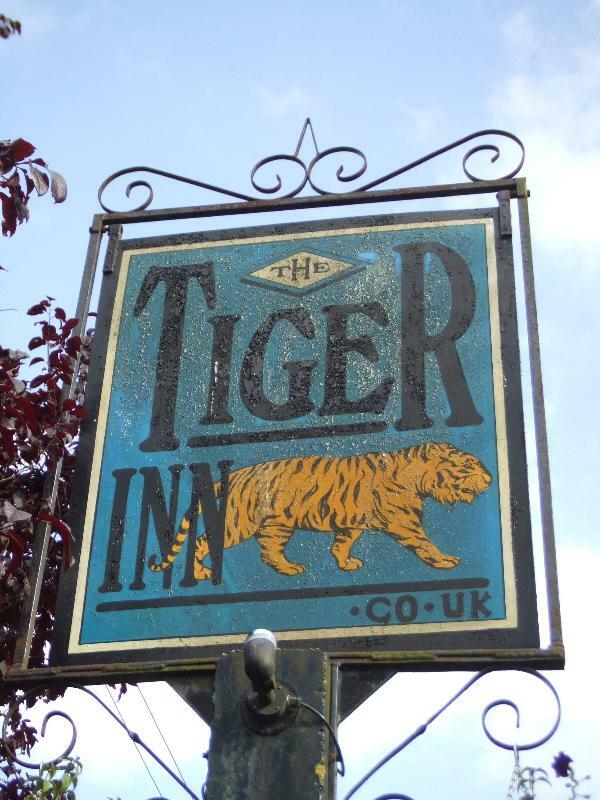 The seventeenth-century Tiger Inn at Stowting is a country-pub success story that was saved from extinction by a syndicate of Stowting locals, who clubbed together and bought the place simply because they didn't want to lose their favourite watering hole. On the food front, the current owners continue to put their faith in an extensive daily-changing blackboard based on fresh produce. Lunch is essentially pub grub (steak and ale pie, sausages and mash, lasagne plus salads and baguettes), but the evening menu promises more ambitious restaurant-style dishes. 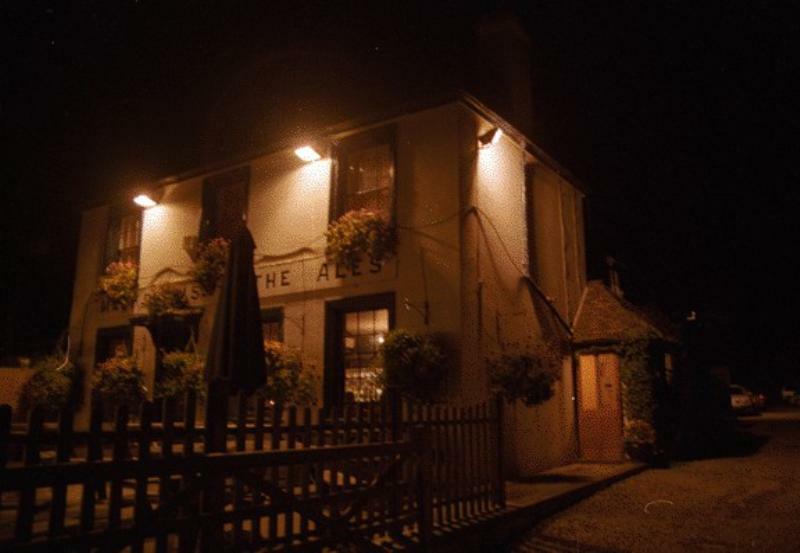 Typical choices might include baked avocado with Mozzarella and crabmeat, roast duck with cider and blackcurrant sauce, and fillet of salmon with watercress and horseradish sauce. There also a few vegetarian options (roasted peppers stuffed with spinach, tomatoes and goats' cheese, for example), and a separate board of homespun desserts ranging from jam roly-poly to bread-and-butter pudding. On Sundays, all-day traditional roasts take centre stage. 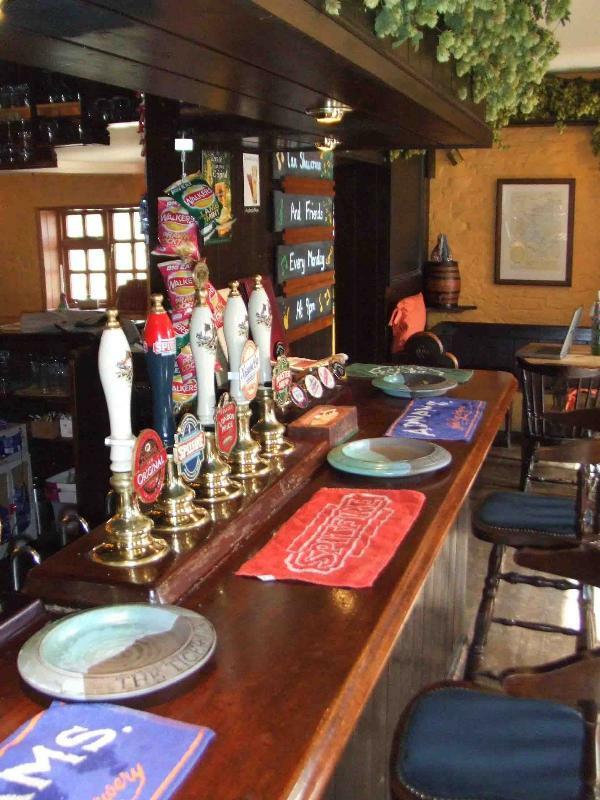 Backing up the food is a very decent wine list, plus a choice of up to six real ales - all kept in tip-top condition. A bowl of marinated olives with warm crusty bread, hummus, olive oil & balsamic vinegar. Flakes of smoked mackerel oven baked in a cream, mustard & cheese sauce and served with slices of crusty bread. Fresh crayfish tails topped with a Marie Rose sauce on a bed of salad, served with a tempura prawn and crusty bread. Ham hock terrine served with a salad garnish, toasted bread and a caramelized red onion chutney. Deep fried calamari served with a salad garnish and a side of garlic mayonnaise. Served with tartare sauce, a slice of lemon, and a wedge of windmill bread and butter. Homemade chorizo scotch egg, served on a bed of salad and topped with Cajun mayonnaise. Asparagus spears topped with a poached egg, drizzled with hollandaise sauce and crispy leeks. Oven baked field mushroom, topped with melted goats cheese, onion chutney and served on a bed of salad. Whole baked camembert, served with onion chutney, cranberry sauce, salad garnish and slices of crusty bread. A quality local steak cooked just the way you like it, served with our home-made mature stilton, Diane, or peppercorn sauce, chunky chips, field mushroom and fresh vine tomatoes. A tender Kentish fillet steak cooked just the way you like it, served with our home-made mature stilton, Diane, or peppercorn sauce, chunky chips, field mushroom, and fresh vine tomatoes. A succulent portion of slow roasted pork belly sat on creamed bacon & leeks, served with Dauphinoise potatoes, apple purée and topped with crunchy crackling. Pan seared fillet of salmon on a breaded mash potato cake topped with green beans, poached egg, hollandaise sauce and crispy leeks. A large oak board with breaded garlic king prawns, deep fried salt & pepper squid, tempura prawns, smoked salmon, a mini crayfish cocktail & a pot of mackerel pate. Served with salad garnish, bread and two dips (sweet chilli & tartare). Free range chicken breast stuffed with spinach, mushroom & garlic wrapped in Parma ham, served with dauphinoise potatoes, spinach and served with a mushroom stroganoff sauce. Home-made meat and vegetable pie served in a shortcrust pastry base, topped with a puff pastry lid, served with roast parsnips, and garlic & rosemary roasted potatoes. Ask us about today's filling. Honey glazed half rack of BBQ ribs, served with chunky chips, corn on the cob and coleslaw (upgrade to a full rack for an extra £3). Slowly braised lamb shank served with sweet potato mash, chunky seasonal vegetables and a minted lamb jus. A succulent beef burger topped with melted cheese, served in a brioche bun with a side of chunky chips and coleslaw (add bacon for an additional £1). Hand battered local cod, deep fried to perfection and served with chunky pub-style chips, crushed peas and tartare. A puff pastry wellington filled with spinach, red onion, mushroom, mixed peppers and tomatoes, topped with goat's cheese, served with a tomato & basil sauce and garlic & herb sauté potatoes. Pea, Asparagus & Pesto linguine topped with a garlic crostini (add chicken for an additional £2). A platter of pan haggerty potatoes, roasted pepper stuffed with coriander and lemon couscous, corn on the cob, spinach, field mushroom, asparagus and a jug of tomato & basil sauce. An authentic Belgian waffle, drizzled with a rich, chocolate sauce, and served with honeycomb ice cream. A homemade fruit crumble served with cream, ice cream or custard (Please ask about today's filling). Homemade key lime pie served with Chantilly cream. Meringue Nest topped with Chantilly cream and a mixture of seasonal berries. A delicious homemade banoffee pie topped with caramelised banana. Lemon posset topped with a berry compote and served with shortbread. 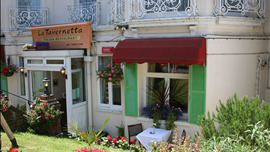 La Tavernetta has been famous in Folkestone for almost 50 years and La Tavernetta remains a strong favourite with Folkestonians and visitors alike, viva La Tavernetta. 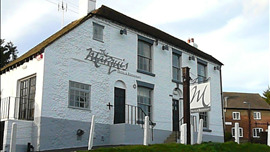 Now five years after a spectacular transformation of the old Marquis of Granby pub in the heart of the Alkham valley to become the Marquis at Alkham, a striking contemporary restaurant with five luxury bedrooms to boot, the whole thing just gets better and better.